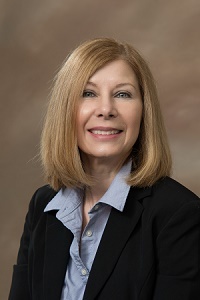 Karen Sandt, RN was appointed Director of Nursing for Phoebe Allentown Health Care Center. In this position she is responsible for managing and organizing the clinical operations of the nursing department and ensuring the department’s compliance with policies and regulatory requirements. Previously Sandt was employed by Manor Care for 15 years working in different capacities including Director of Nursing, Quality Assurance and most recently Divisional Performance Improvement. 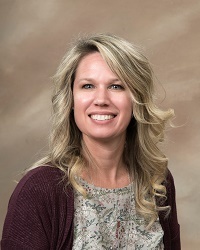 A resident of Pen Argyl, Sandt earned a Bachelor of Science in Nursing from the Southside Regional Medical Center, Petersburg, VA. She is a Registered Nurse-Board Certified in Gerontological Nursing. Maria Slowik R.N. BSHA, CPHQ, RAC-CT was appointed as Phoebe Ministries’ Regional Director of Registered Nurse Assessment Coordinators. In this position Slowik oversees the Resident Nurse Assessment Coordinators at Phoebe’s four continuing care retirement communities in Berks, Bucks, Lehigh, and Montgomery counties. A resident of Perkasie, Slowik earned a Bachelor of Science in Healthcare Administration from St. Joseph’s University, Philadelphia. She holds a certification in Professional Healthcare Quality and is Resident Assessment Coordinator-Certified. Jennifer Simmers, BS, PTA, PCHA, was appointed Administrator of Phoebe Richland’s Meadow Glen Personal Care Community at in Richlandtown. She is responsible for the administration, programming and management of Meadow Glen, including the health, safety, and well-being of residents. Simmers has been employed by Phoebe Ministries since 2014 where she served as the Lead Therapist and Physical Therapist Assistant for Phoebe Rehab Services on the Allentown campus. Previously she worked for Genesis Rehab services as a Physical Therapy Assistant. 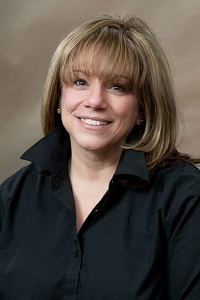 Before serving as a Physical Therapy Assistant, Simmers was employed as a Pharmaceutical Sales Representative for Sanofi Aventis in Bridgewater, NJ and an Account Executive for Piney Bowes in Ewing, NJ. A resident of Bethlehem, Simmers earned a Bachelor of Science from DeSales University, Center Valley and an Associate’s Degree in Applied Science from Lehigh Carbon Community College, Schnecksville. She was licensed as a Personal Home Care Administrator in 2017.